A medium size (12 inches high) sport of H. 'Abba Irresistible', this non-registered cultivar by Ken Ziarek has wider green margins that the mother plant. The leaves are ovate to broadly ovate and slightly corrugated. Flowers of pale purple color bloom in July. 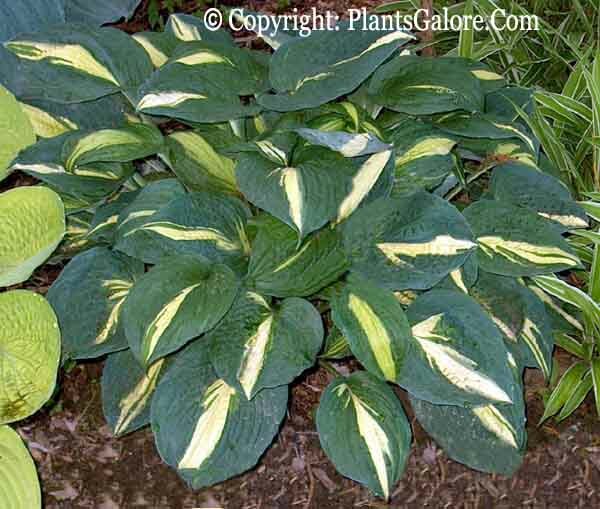 The Hostapedia by Mark Zilis (2009) states that this cultivar was "...introduced as the "convention plant" for the 2006 Midwest Regional Hosta Society meeting in Wisconsin..."